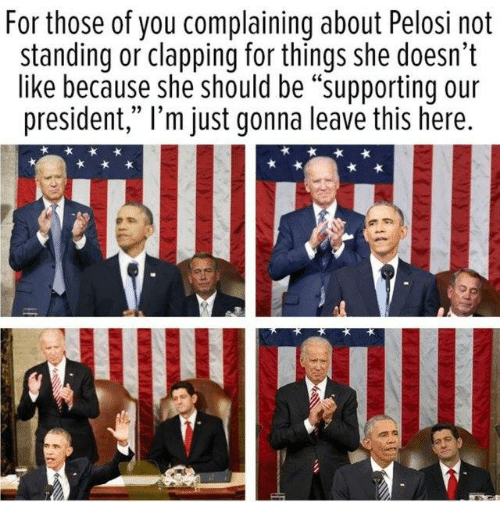 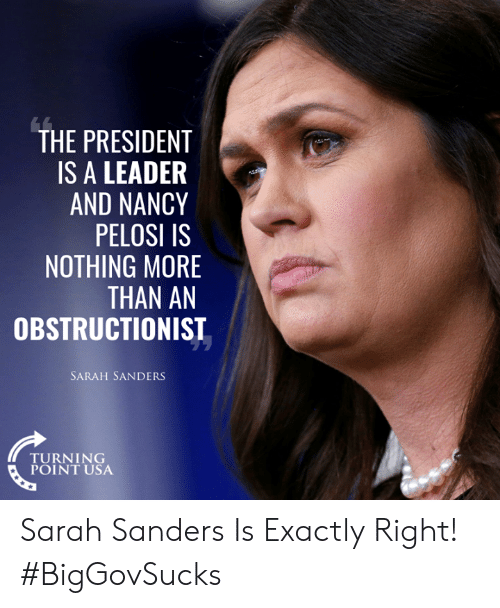 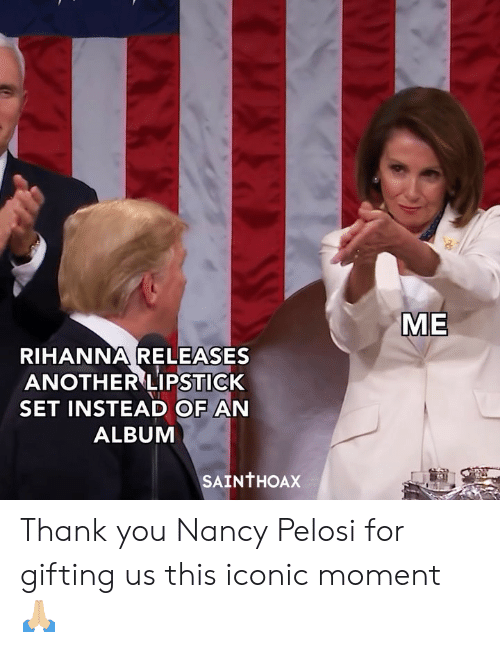 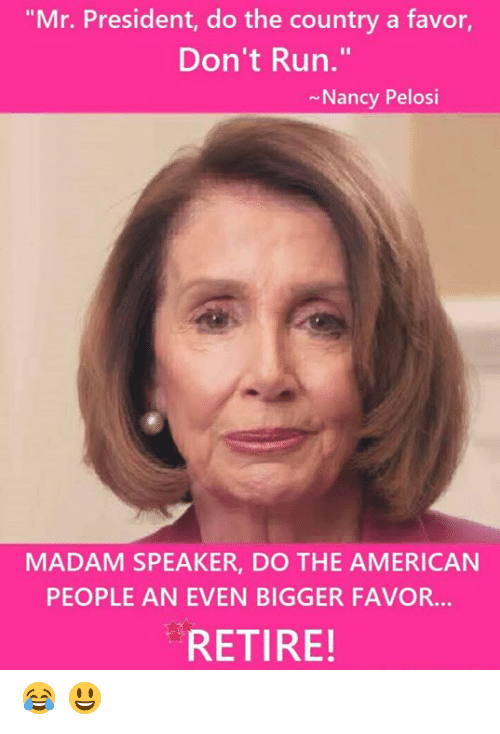 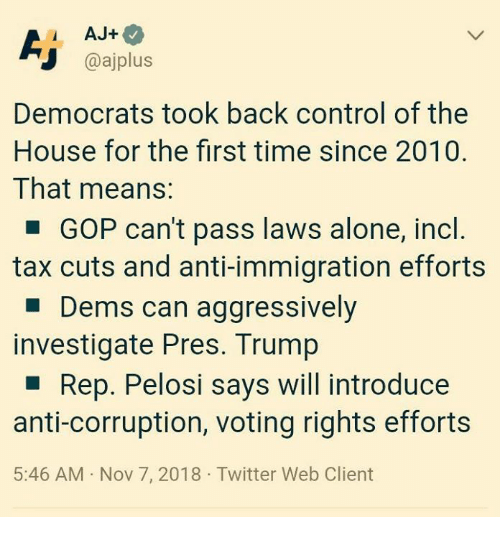 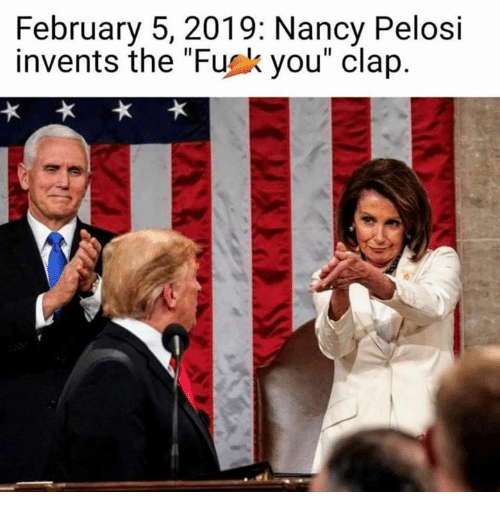 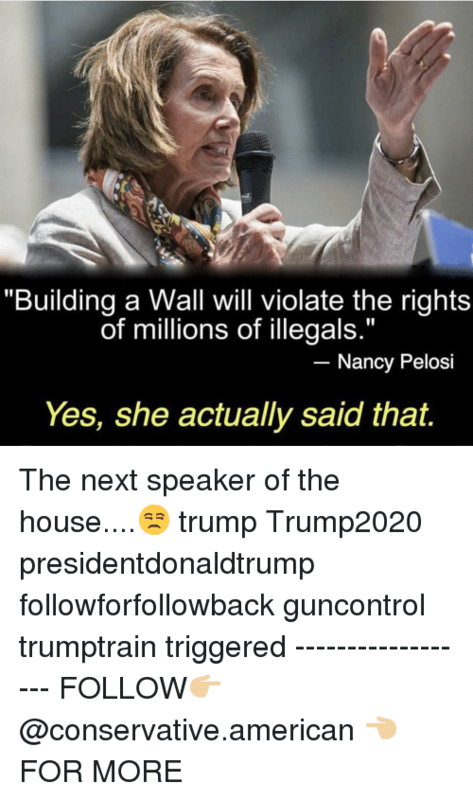 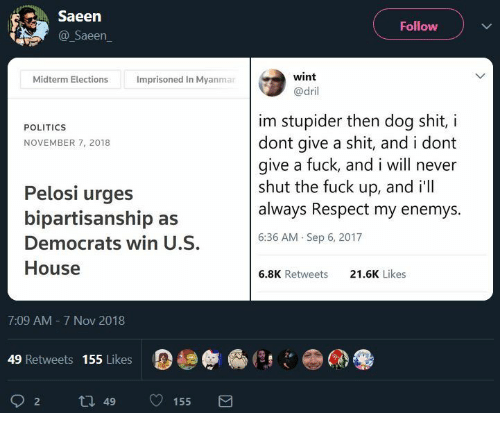 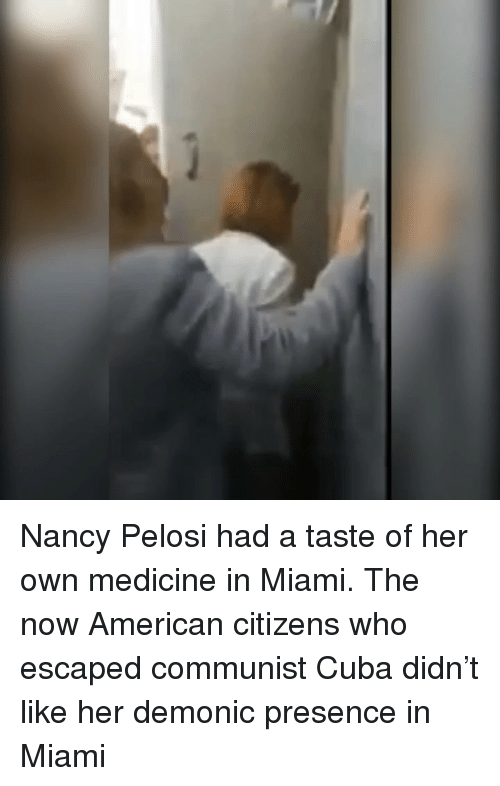 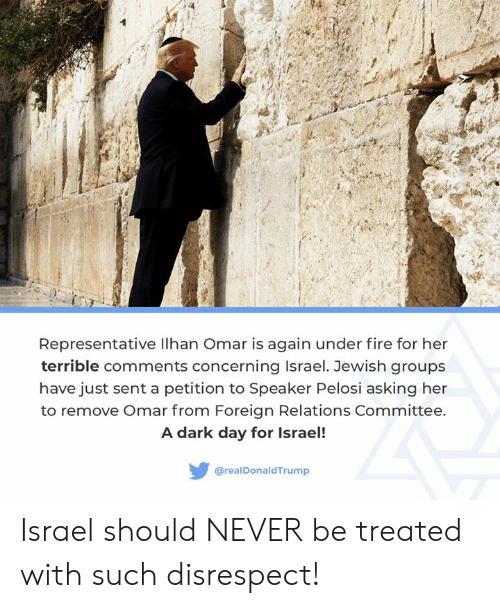 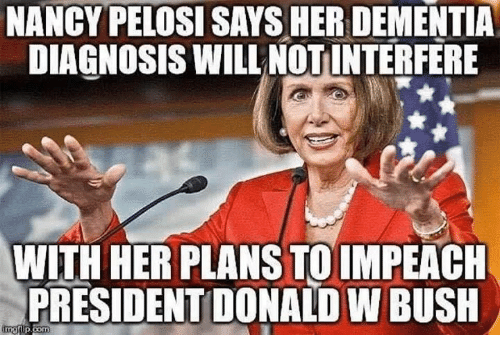 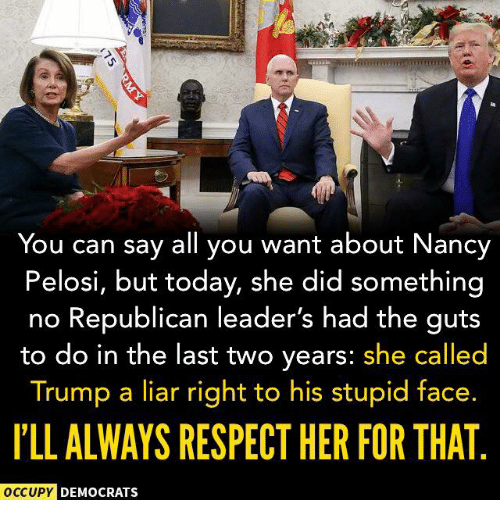 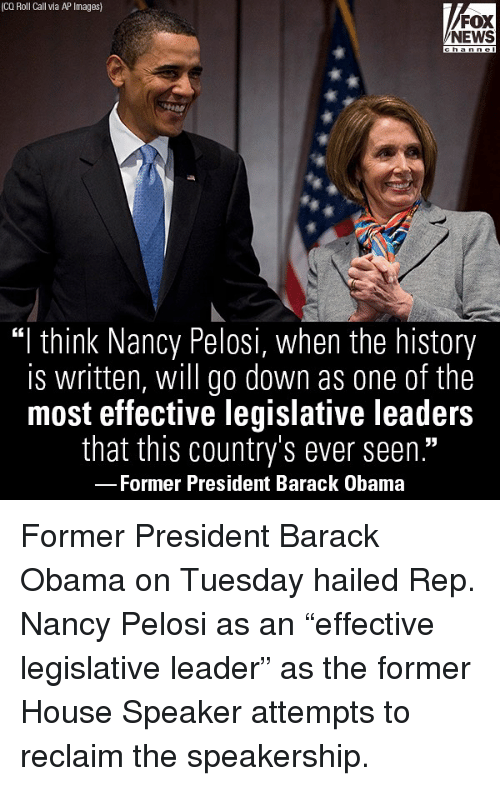 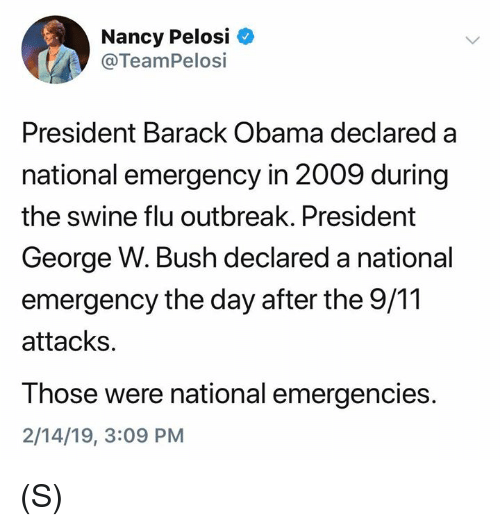 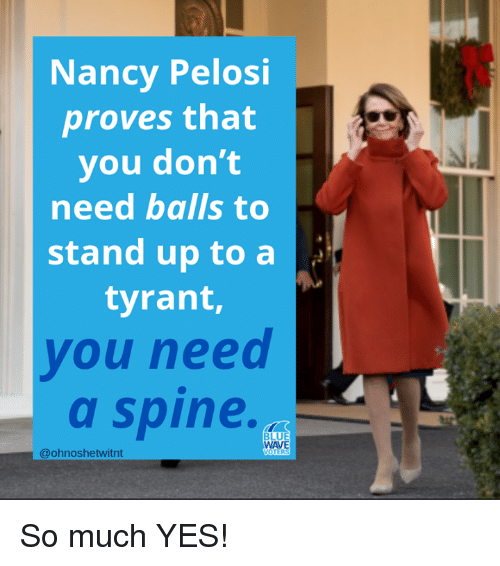 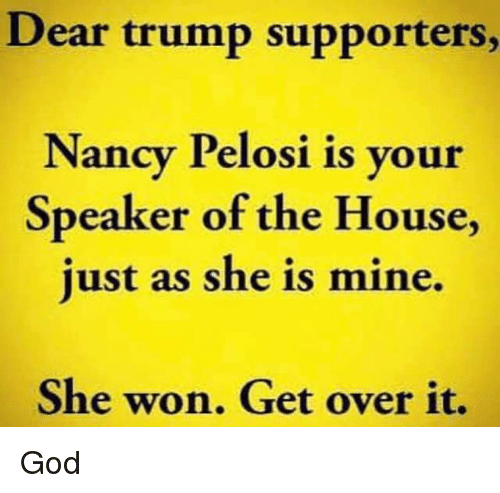 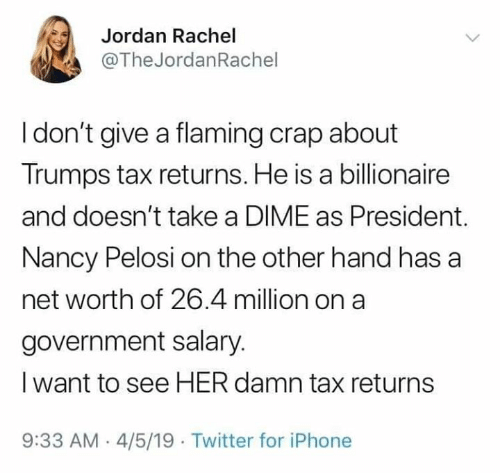 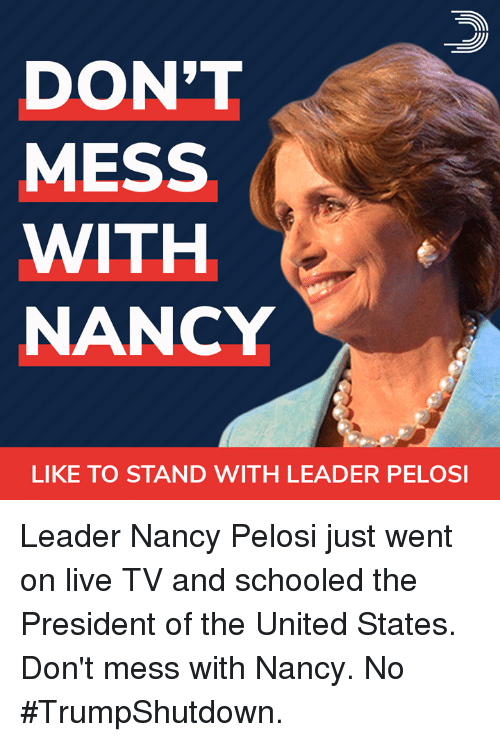 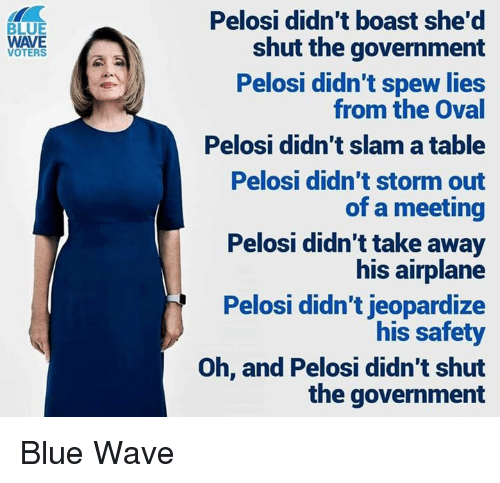 Memes, Nancy Pelosi, and 🤖: Nancy Pelosi proves that you dont need balls to stand up to a tyrant, you need a spine. 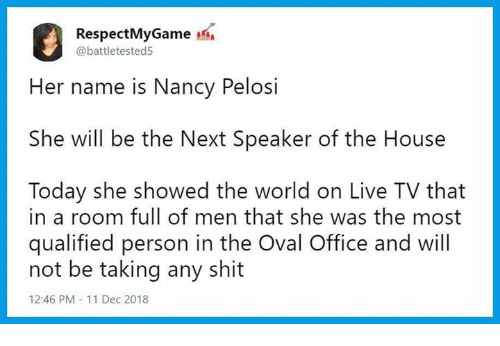 5イ LUE @ohnoshetwitnt So much YES! 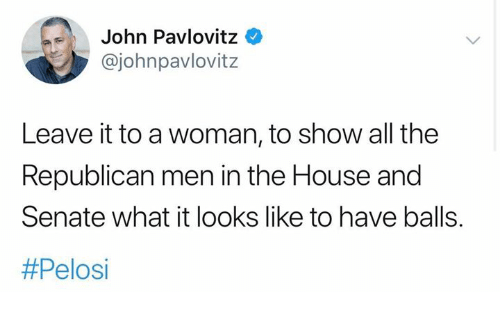 Memes, House, and All The: John Pavlovitz @johnpavlovitz Leave it to a woman, to show all the Republican men in the House and Senate what it looks like to have balls. 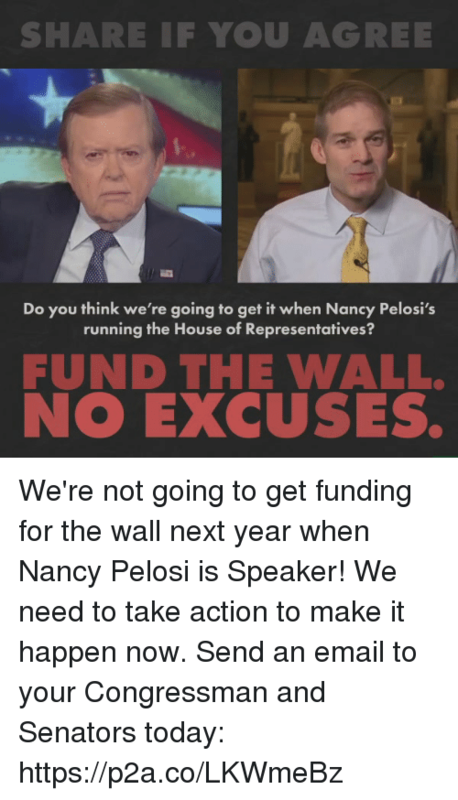 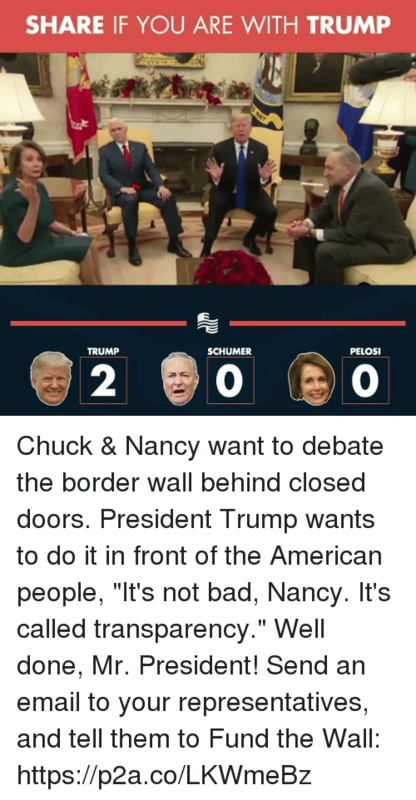 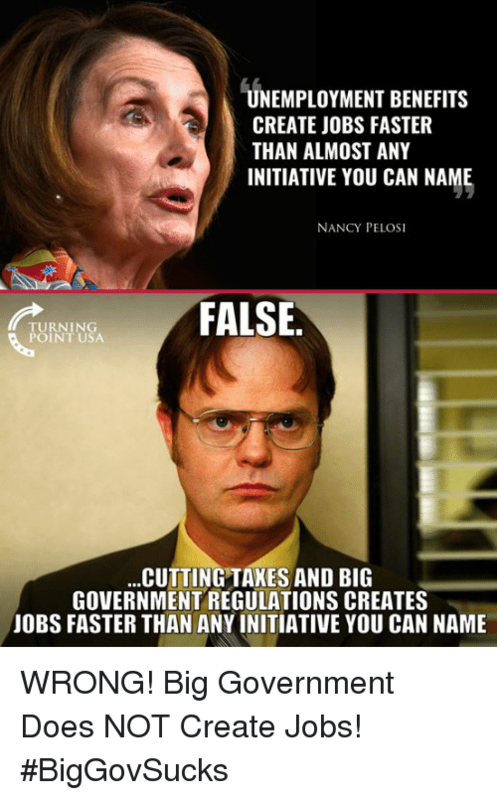 Memes, Trump, and Government: PELOSI AND SCHUMER SAY: NO WALL! 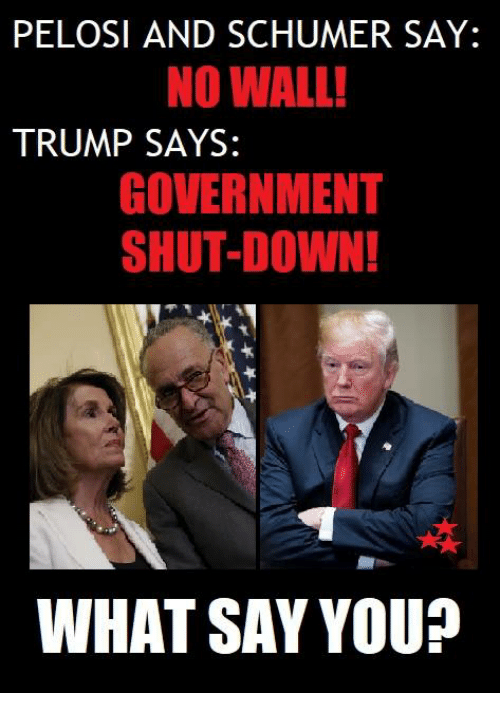 TRUMP SAYS: GOVERNMENT SHUT-DOWN! 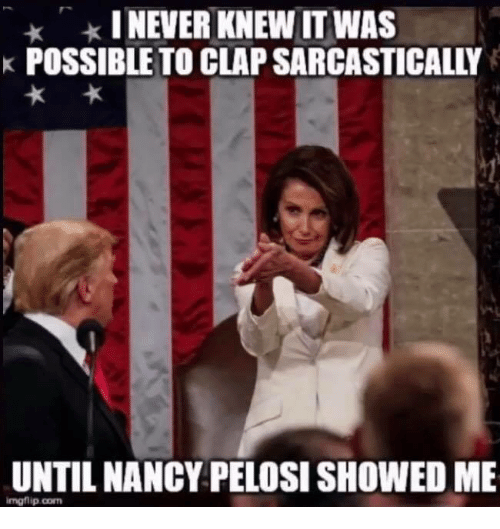 ra WHAT SAY YOU? 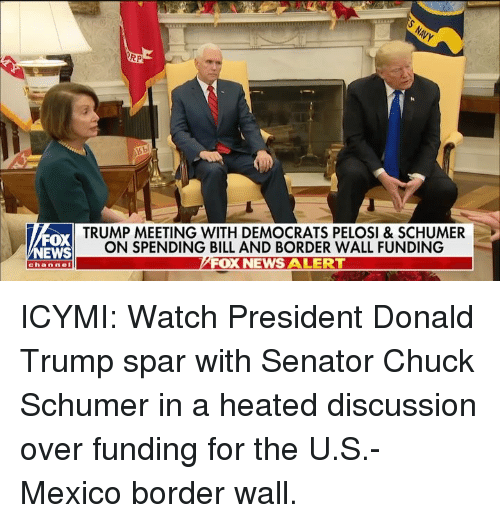 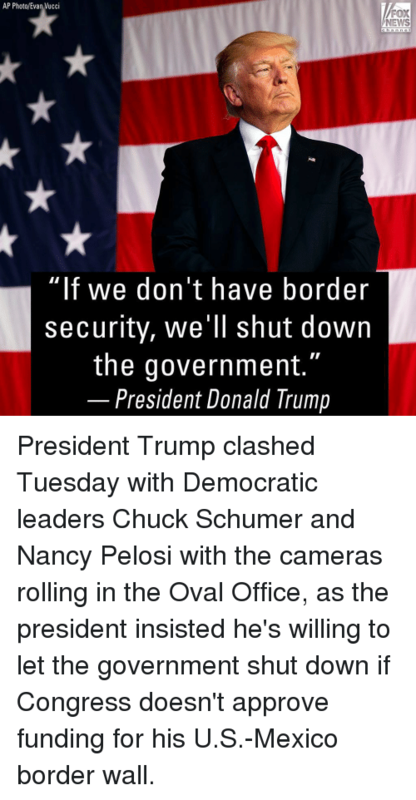 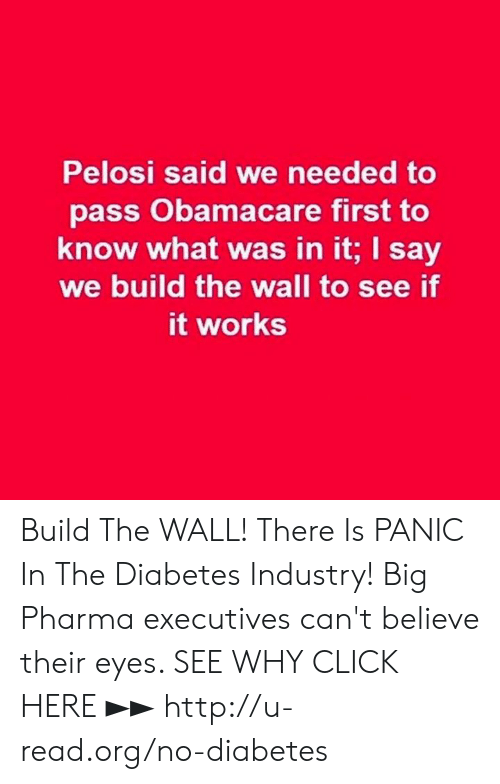 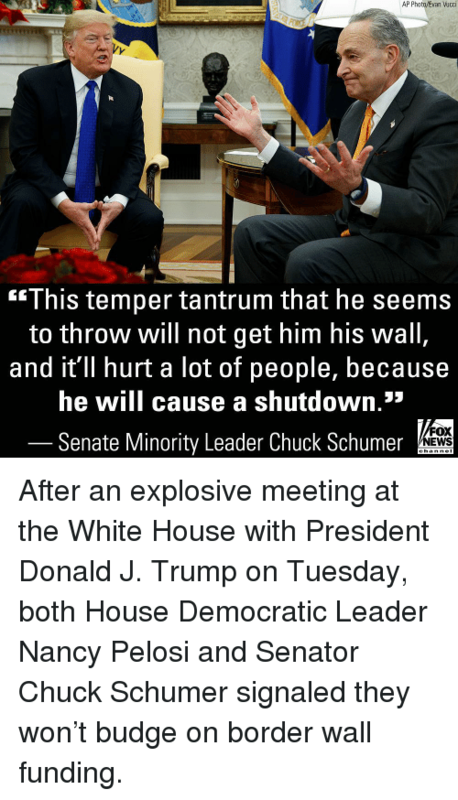 News, Politics, and White House: THE WHITE HOUSE MOMENTS AGO TRUMP MEETING WITH DEMOCRATS PELOSI & SCHUMER ON SPENDING BILL AND BORDER WALL FUNDING FOX NEWS ALERT While Democrats are committed to playing politics, I am committed to securing the border — and that means building the wall. 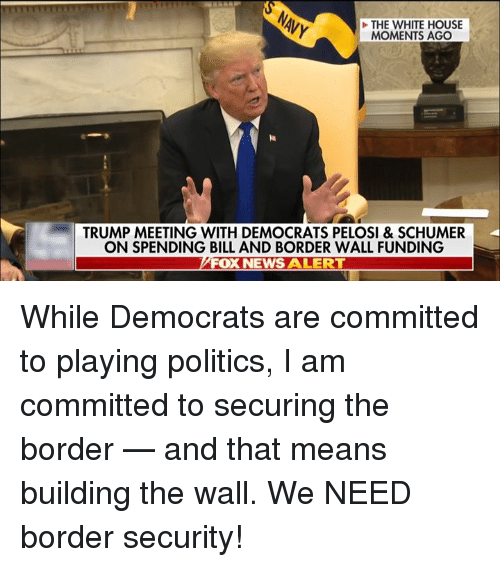 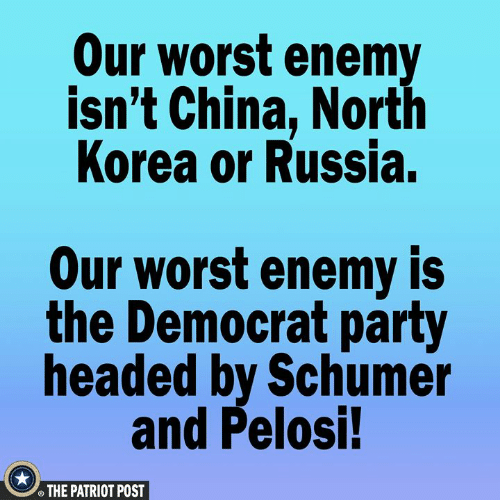 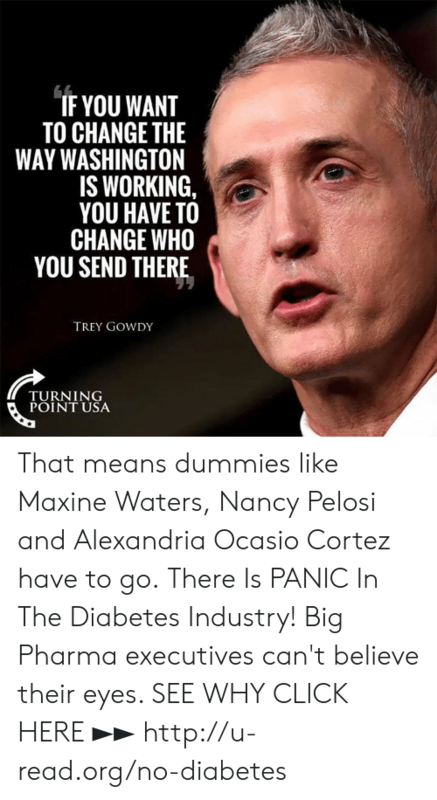 We NEED border security! 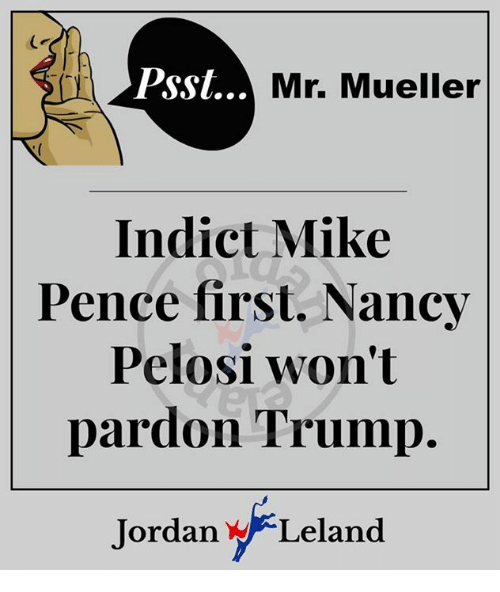 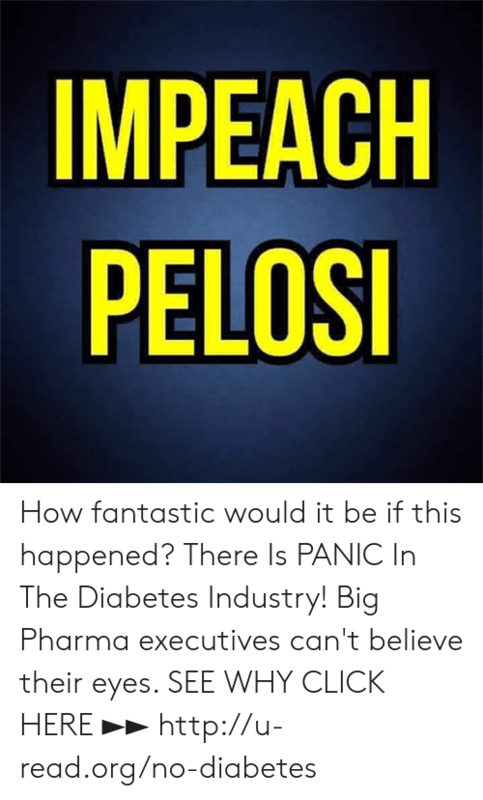 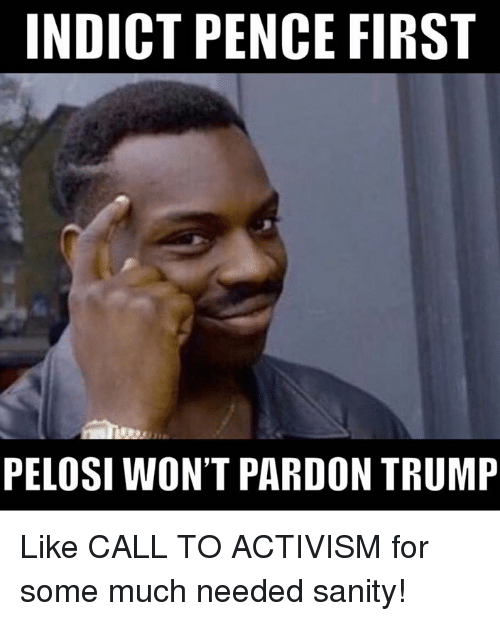 Trump, First, and Call: INDICT PENCE FIRST PELOSI WON'T PARDON TRUMP Like CALL TO ACTIVISM for some much needed sanity! 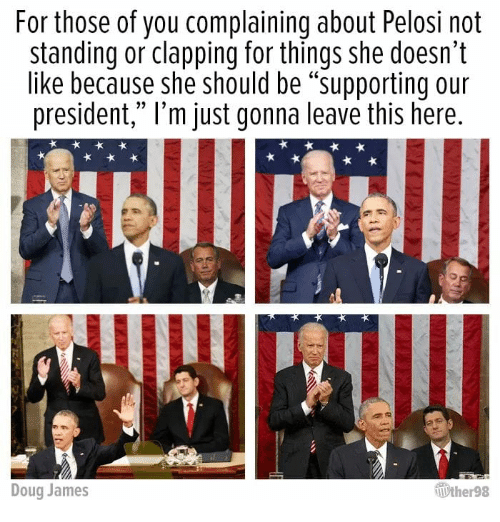 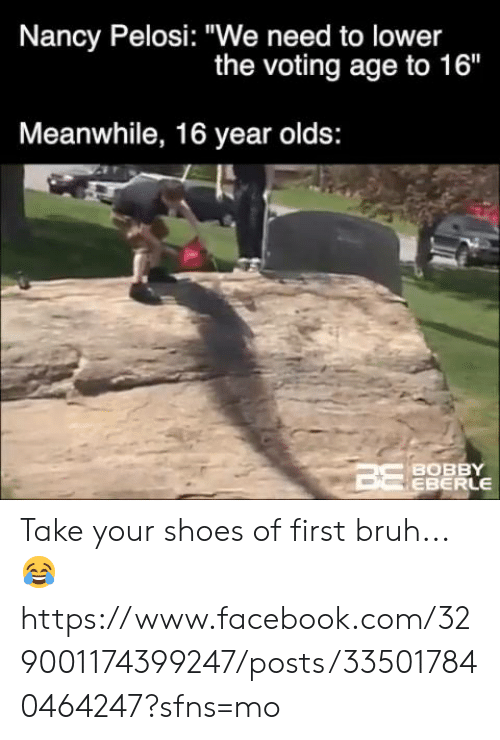 Like CALL TO ACTIVISM for some much needed sanity! 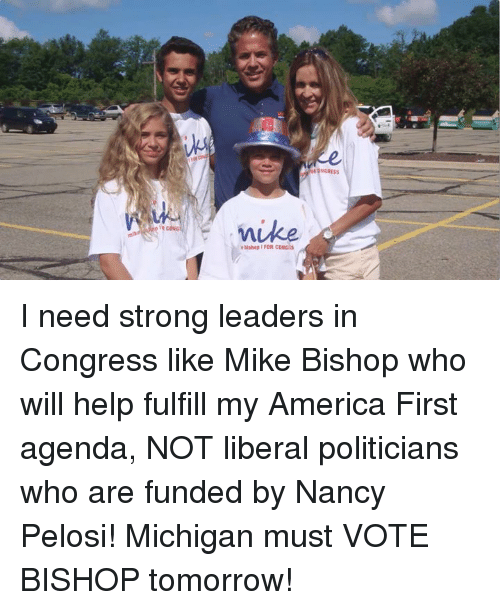 America, Help, and Michigan: r bishop 1 FOR CONGs I need strong leaders in Congress like Mike Bishop who will help fulfill my America First agenda, NOT liberal politicians who are funded by Nancy Pelosi! 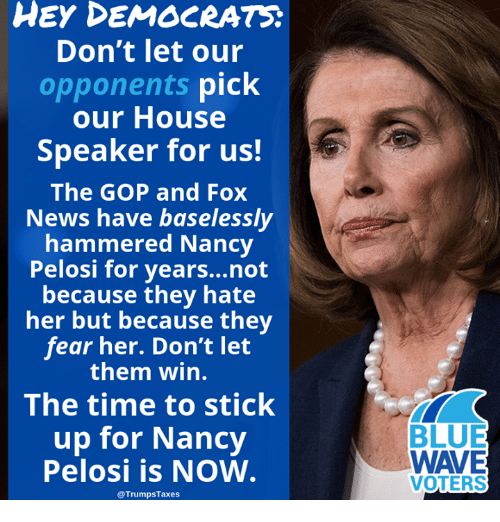 Michigan must VOTE BISHOP tomorrow! 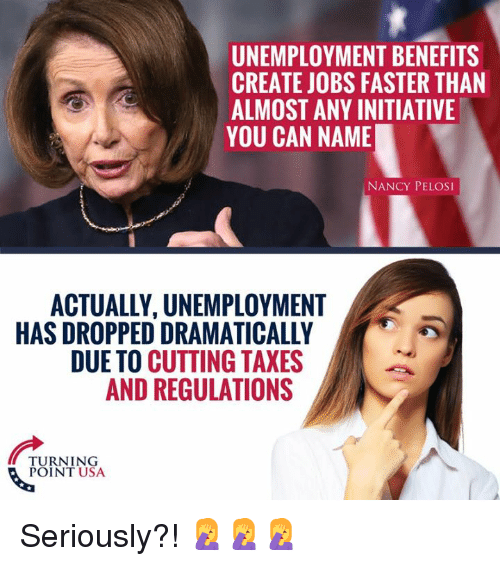 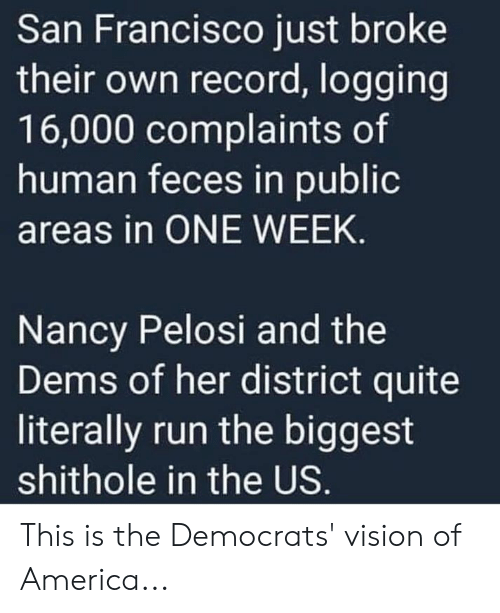 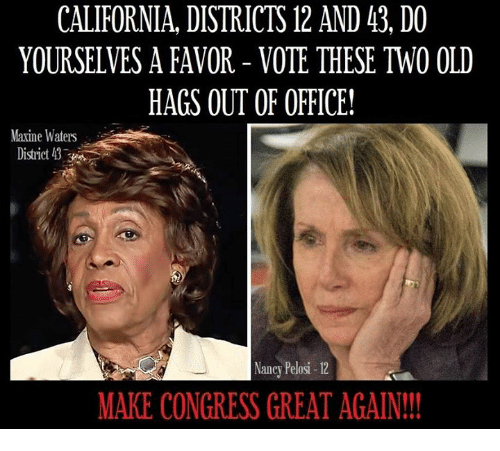 Memes, California, and Office: CALIFORNIA, DISTRICTS 12 AND 43, DO YOURSELVES A FAVOR - VOTE THESE TWO OLD HAGS OUT OF OFFICE! 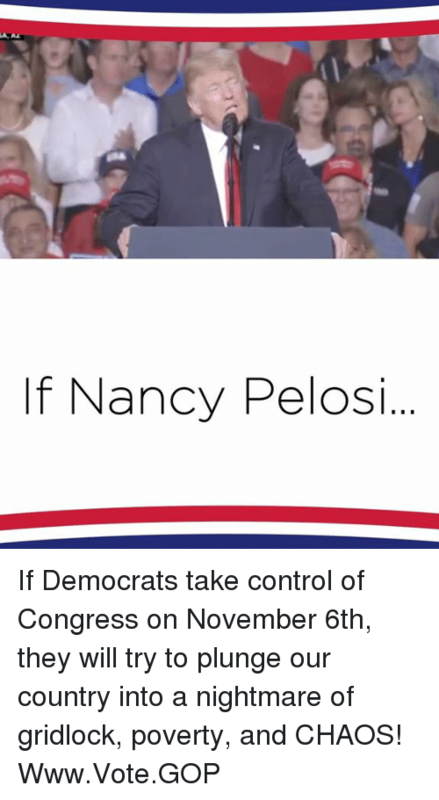 Maxine Waters District Nancy Pelosi-12 MAKE CONGRESS GREAT AGAIN! 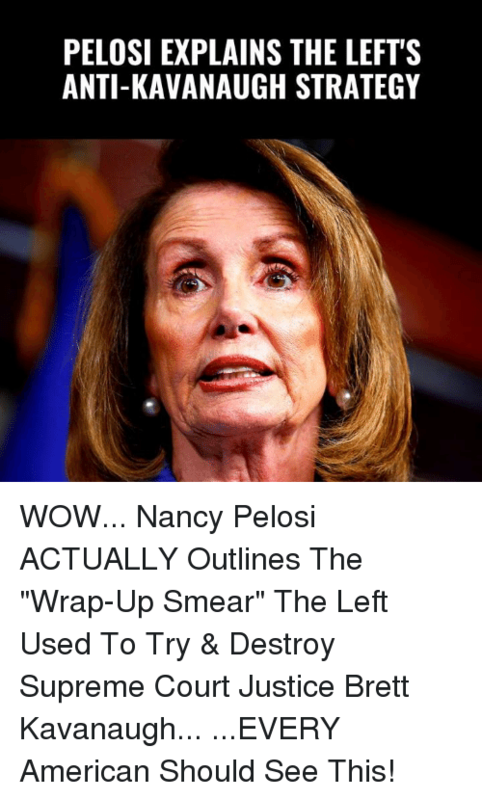 Memes, Supreme, and Wow: PELOSI EXPLAINS THE LEFT'S ANTI-KAVANAUGH STRATEGY WOW... Nancy Pelosi ACTUALLY Outlines The "Wrap-Up Smear" The Left Used To Try & Destroy Supreme Court Justice Brett Kavanaugh... ...EVERY American Should See This!